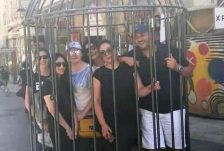 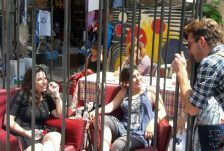 Passersby entered the cage on the Ben Yehuda pedestrian mall to experience three minutes in captivity, just a tiny taste of what agunot and women imprisoned in marriage experience daily at the hands of their recalcitrant husbands. 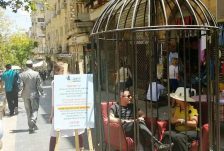 Passersby who walked along the Ben Yehuda pedestrian mall in Jerusalem yesterday were confronted with an unusual sight: a huge birdcage with a little sitting parlor inside. 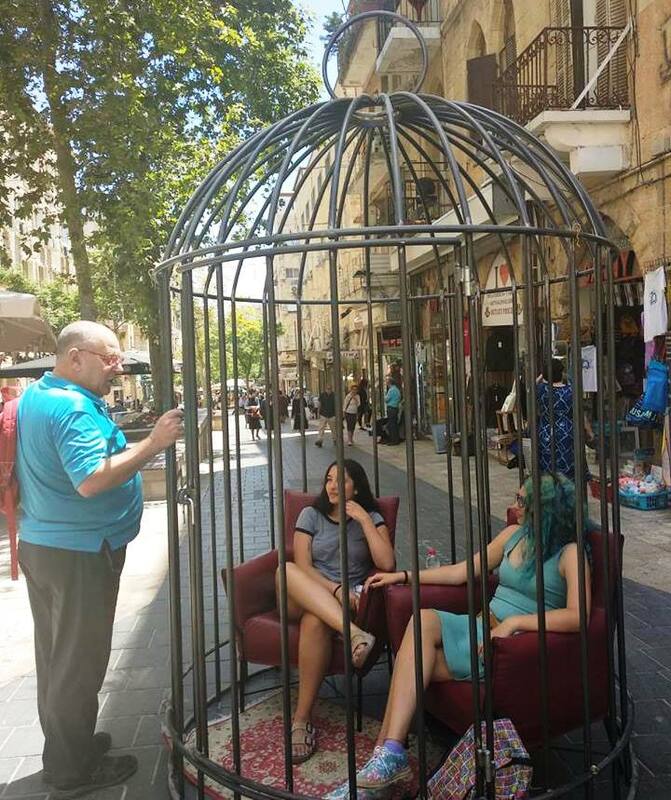 The cage was part of a unique display organized by Yad La’isha, a Legal Aid Center and Hotline for women which operates under the auspices of Ohr Torah Stone, and set up in the heart of the Ben Yehuda pedestrian mall. 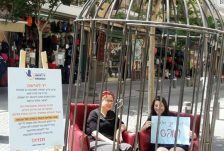 Inside the cage sat agunot (women “chained” to abusive or unviable marriages) and mesuravot get, women whose husbands are denying them a Jewish divorce document. 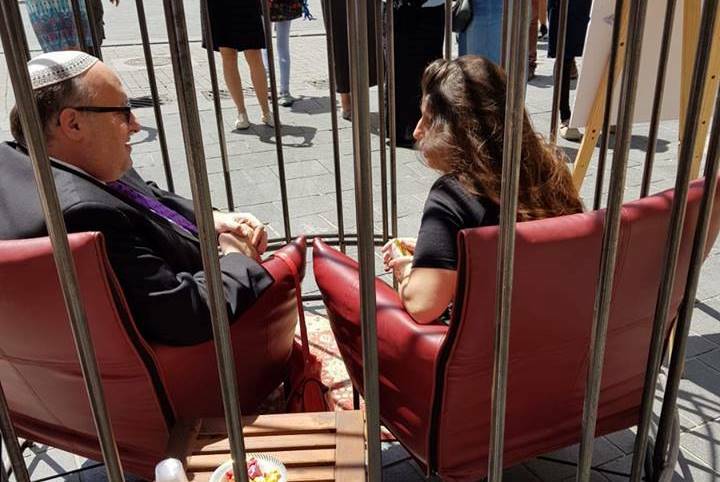 Throughout the day, hundreds of people enveloped the cage and many passersby entered for a three minute “challenge” in an attempt to experience the feelings of captivity felt by women who are trapped in the cage of matrimony day after day, without the ability to free themselves. 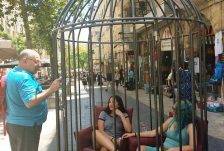 The display, which was planned weeks in advance with the aim of “going live” at the beginning of the official wedding season (after the festival of Shavuot) in the hope of raising public awareness to the phenomenon of recalcitrant husbands denying their wives divorces, could not have come at a better time – just as the Rabbinical Court proclaimed Yaron Attias to be a sarvan get, a recalcitrant, get-refusing husband. 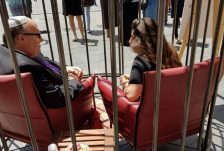 The court ordered that Attias’ name, picture and personal information be made public, and went so far as to impose upon him social and halakhic sanctions such as forbidding anyone to give him a sitting place in synagogue, call him up to the Torah and more.